Security is a noble calling. You deserve a partner who will answer the call. Our motto: Go home each and every day proud of who we are, what we do, and how we do it. IN ADDITION to being the industry's leading provider of security management and consulting services for organizations around the world, Chesley Brown embraces a culture of diversity and recognizes the value in differing vantage points. We believe real security is about more than just placing guards on post and hoping for the best. Total security requires a culture of forward thinking and innovation. It's having the courage to challenge the status quo. That is why we are committed to recognizing and supporting those who share our mission to be a force for positive change in the communities we serve. For more than 3 decades, Chesley Brown® has worked on projects in more than thirty (30) states and three (3) countries. Our foundation of security consulting and auditing includes projects that are unique and complex, ranging from Class A office buildings, major league sporting complexes, Corporate Headquarters, mixed-use developments, residential complexes, museums, not-for-profit foundations, and religious and educational institutions. Because of this background, we have the capability to provide a comprehensive and dynamic security assessment that meets the specific needs of your diverse facility. Once the decision was made to renovate the entire property's electric security system, Chesley Brown began developing specifications and identifying prospective bidders. After this was accomplished, Chesley Brown was with us to manage the bid process, award the bid and oversee the installation of the new system. With a history stretching back over 500 years to the high sheriffs of London, and services ranging from corporate investigations to corporate risk consulting, only Chesley Brown has the capability and experience to manage any threats that may harm your business or enterprise. To listen and effectively respond to the needs of our clients, employees and supervisors. To hold ourselves and each other accountable, and to set a new standard for the security industry; one of uncompromising integrity and compassion. Chesley Brown traces its roots to 1500s when ancestors of Brent Brown, William Garrard and John Garrard, became among the first “High Sheriffs” of London. They were each later made the Lord Mayor of London (1555 and 1601). When Chesley Brown was founded in the early 1990s by CEO Brent Brown, it was with this legacy in mind. Throughout its rich history, Chesley Brown has developed a reputation as a true leader in the security industry, even pioneering the modern approach to security management. Our commitment to our clients has allowed us to remain the industry leader in developing innovative security and management solutions for national and international organizations. With employees and clients in 29 states and 3 countries, Chesley Brown has the resources and experience to provide reliable and scalable protection for clients and their assets worldwide. Brent C. Brown has an extensive background in law enforcement and security. He was a police officer in the metropolitan Atlanta area holding positions with duties ranging from uniform patrol to “Acting Chief”. He also established a security consulting business handling security-related concerns for retail, office complexes, warehouses, and hotels. 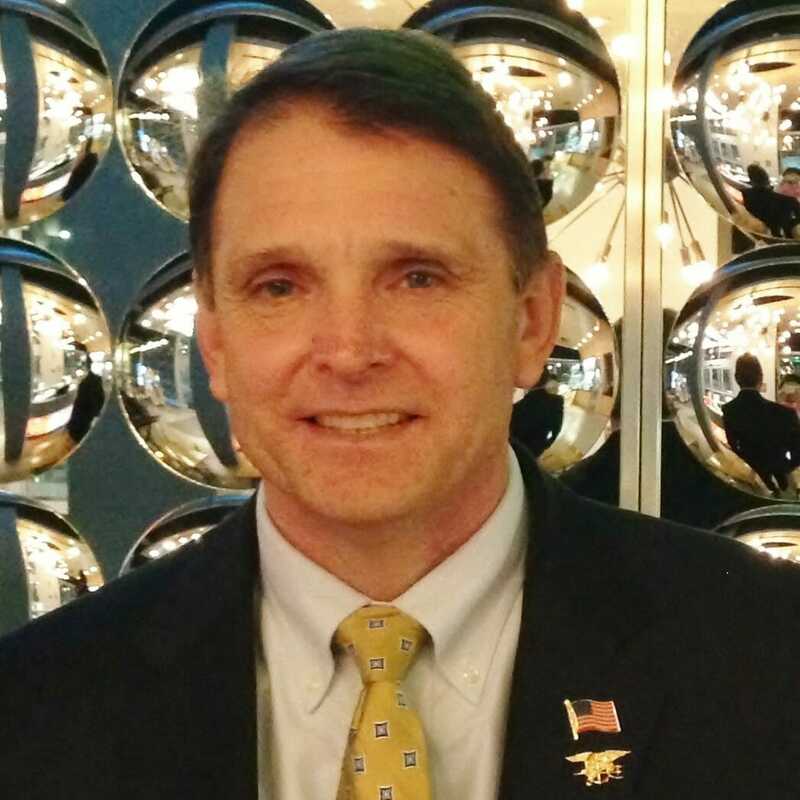 In 1990, he entered the private security industry with the formation of Chesley Brown Associates, Inc., handling numerous high-profile security projects across the country. He served as a security expert for both local and international media regarding the Olympic Park bombing during the 1996 Centennial Olympic Games in Atlanta, Georgia. Due to his expertise with terrorist incidents and security concerns, he is frequently called upon to speak at Civic Associations, Chambers of Commerce, Security Schools, and other large business organizations. In the 14th Century, the practice of embroidering the Family Crest on the surcoat worn over the coat of mail gave rise to the term “Coat of Arms”. The Chesley Brown Coat of Arms is original to Chesley Brown. It is based on the Garrard Family Crest because of family heritage and inspiration of quality and education. The fleur de lis comes from the Brown Family Crest. The name Chesley is a family name of old English Origin. Because of the Team Spirit, Pride and Integrity of our company that truly is changing the course of an industry, Chesley Brown adopted a corporate flag to be displayed at every Chesley Brown property. The flag is “Chesley Brown Green” with our crest at its core. the Chesley Brown coat of arms on the Founder’s Flag is original to Chesley Brown. It is based on the Garrard family crest because of family heritage and inspiration of quality and education. Chesley Brown has a rich history of excellence, and the Chesley Brown coat of arms on the Founder’s Flag is original to Chesley Brown. It is based on the Garrard family crest because of family heritage and inspiration of quality and education. The fleur-de-lis comes from the Brown family crest. The name Chesley is a family name of old English Origin. Although the roots of both the Brown and Garrard families can originally be traced to France, Britain has been seen as the country of origin since the 14th century. The fleur-de-lis origins can be traced back to French royalty. However, as in the case with both the Brown family and Garrard family, it was taken and adopted by the English kings to emphasize their claims to the throne of France. The Fleur-de-lis has also been used for years by military units, including divisions of The United States Army, as a symbol resemblance to a spearhead to identify strength and security. The Gold color represents “generosity and elevation of the mind.” The Black color represents constancy. The Green color represents hope, joy, and loyalty. The Leaves represent hope, joy, and strength. The eagle represents persons of noble nature, strength, bravery, and alertness. The “display” of the wings signifies protection. The helmet denotes wisdom and security in defense, strength, protection, and invulnerability. The banner across the bottom reads “Semper Vigiles” which is Latin for “Always Vigilant”. The Dancette lines represent comprehensiveness, diversity, strength, and ability to understand complex matters that are not necessarily always smooth or straight lines. The Founder’s Flag is only authorized to be used by the Founder and/or displayed when the Founder is at a location for an extended period of time. The Chesley Brown flag belonging to the CEO has gold fringe along its border and two gold cords attached to the top of the pole. The Chesley Brown flag belonging to a vice president or above has a gold fringe along its border. A Chesley Brown flag can only be presented to a project location by a vice president or above. The Chesley Brown Founder’s flag is white with gold fringe and two gold cords attached to the top of the pole. It displays the complete formal coat of arms and may only be used by the Founder of Chesley Brown. Extended visits of a vice president or above deems displaying his/her flag. Award streamers earned by project locations are to be attached to the top of their flagpole. Each RMD, RVP, VP, SRVP or above, responsible for these programs, displays all the streamers on his/her flag. At no time does a Chesley Brown flag take precedence over the flag of the United States. Strict reverence to the American flag is always shown. When you have serious questions about your security, the answer is Chesley Brown. With over 3 decades of real-world security expertise in Healthcare, Education, Corporate, Government, Retail, Industrial, and Cultural Properties worldwide, there is only one company that has the flexibility to respond to any threat quickly and appropriately. 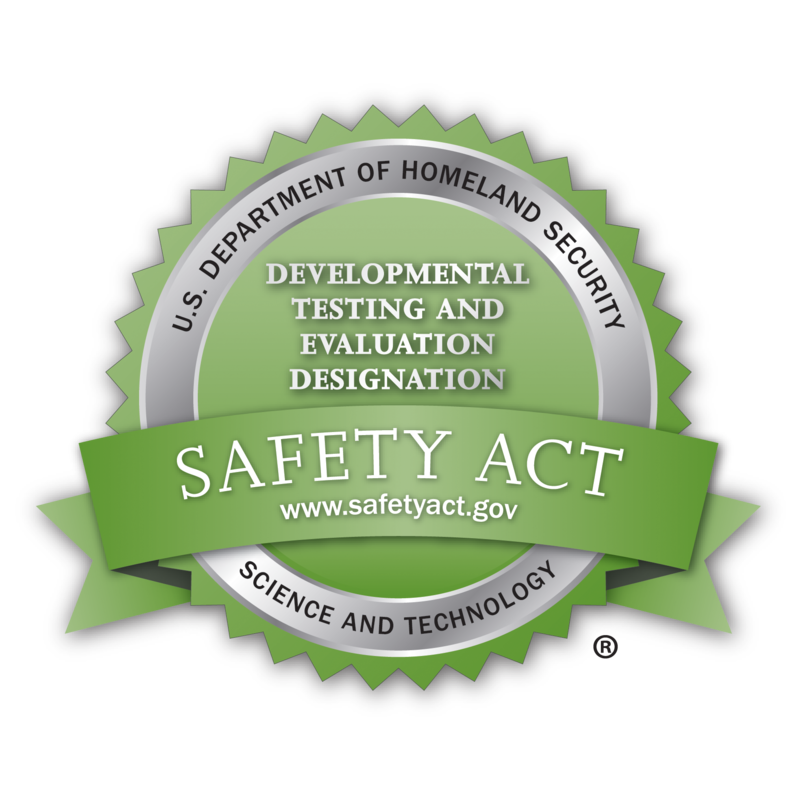 2017 Department of Homeland Security's SAFETY Act designation for counter-terrorism training. The highest recognition given to employers for support of employees who serve in the National Guard and Reserve. 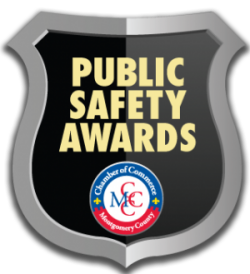 Georgia state award for excellence in Public Safety given for our S.A.M. program. 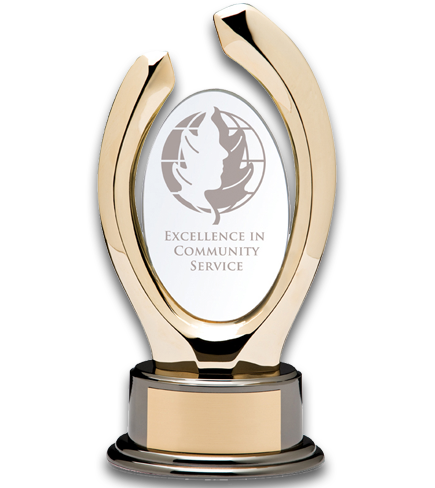 Recipient of the 2006 Excellence in Community Service Awards given by Georgia Trend Magazine.